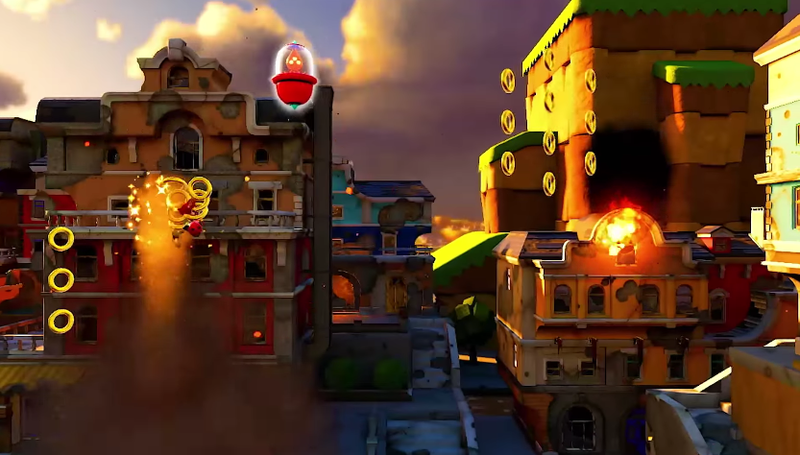 The story of Sonic Forces is a familiar one, yet also very different. The evil Dr. Eggman has once again decided to try to take over the world, and he launches an attack. Of course, being the hero he is, Sonic quickly jumps into action to stop him, but things quickly go south. 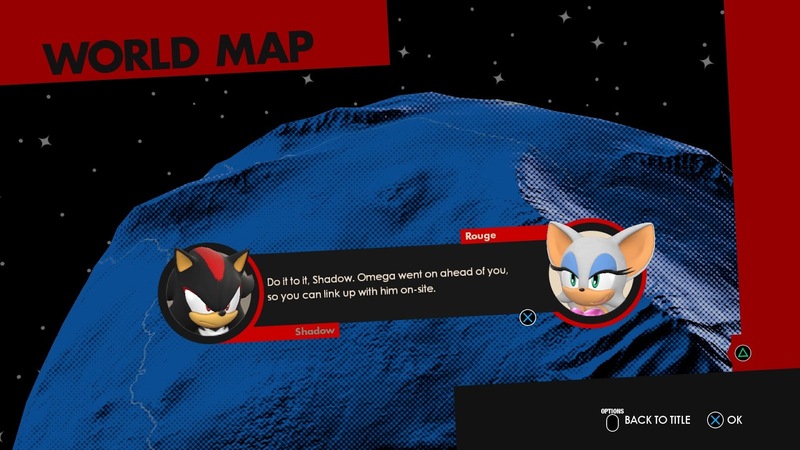 Rather than taking down Eggman like he always does, Sonic comes face to face with multiple enemies from his past (including Shadow for some reason), and is then beaten by a newcomer named "Infinite." Sonic is then thought to have been killed, Tails falls into a depression, and a resistance army built up by Sonic's remaining friends forms to take on Eggman in Sonic's place. Characters such as Knuckles, Silver, Rouge, and even the Team Chaotix members are there fighting the good fight, but they're also joined by a new character -- the player's avatar. This whole set up of forming a resistance to fight an Eggman who has already "won" is pretty similar to Sonic SATAM (the cartoon) as well as what was seen in the Sonic Comics (which continued the cartoon's story), but it doesn't really evolve too much from there. 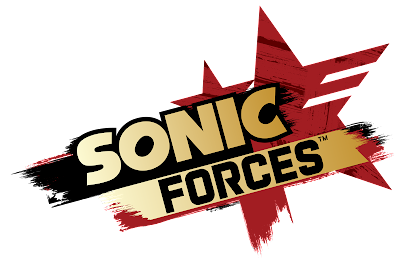 Sonic Forces is the return to the Sonic Unleashed/Colors/Generations style, but with four different play styles mixed in. The game uses a mix of both 2D and 3D style gameplay, and has different character sets for each style as well. 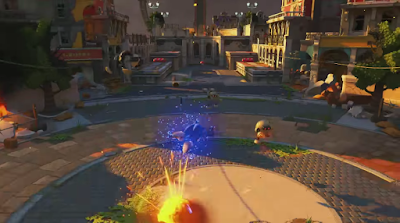 The first type of gameplay seen in Forces is that of "Modern Sonic's." These stages are fully 3D, and feature Sonic running through them at crazy high speeds. You collect rings that keep you alive (as if you get hit you'll lose your rings, and getting hit without at least one will kill you), you collect wisps from Sonic Colors to build up your boost, and you use boost to run at super sonic speeds and destroy every enemy in your sight. Sonic also has the ability to side step, grind on rails, switch which rails he is grinding on (by using the side step), and use an attack known as the "homing attack." 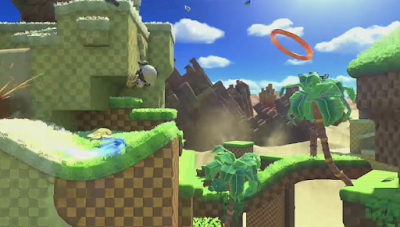 Like in past games, the homing attack locks onto an enemy, has Sonic fly toward and bounce off of said enemy, and then slightly launches him into the air to either continue his attack, or do whatever else you feel like. For example, homing attack from enemy to enemy can allow you to cross gaps, but you can also instantly drop to the ground below you, or use your air boost to fly forward at higher speeds. It's really no different from what we've seen in the past, and it's Sonic's main way of attacking (outside of running enemies over with the boost). Although these stages are 3D, there are sections where it will change to a 2D side view as well. The transition happens almost instantly, but the game normally takes control of the character to avoid confusing you with the control change. 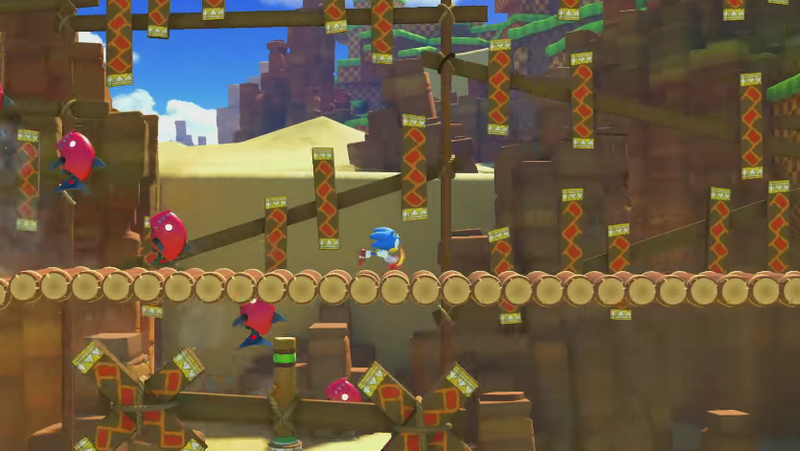 On top of this, hidden red rings are placed throughout the stage for you to find as well, and there are often multiple paths to take as you make your way towards the finish line. Just like with Modern Sonic, the same rules of rings, collecting red rings, and taking multiple paths still apply; however, unlike Modern, Classic Sonic's stages are fully 2D. These stages are made to mirror the style from the original 2D Sonic games, and as such the modern Sonic moves and attacks have been removed as well. Rather than homing attack to kill enemies, simply jumping on them, or using the spin dash is your main way of taking them out. Classic Sonic can also jump and instantly spin dash the moment he lands, but this can also be the death of you if you don't watch out. This can sometimes be a problem for those used to holding the jump button for long periods of time, but once you get used to how it controls it can really help you out. Your Avatar is the most unique part of this game, and it's gameplay is different based on what race you choose, and what weapon your character is holding. The game allows you to choose from multiple animal types (hedgehog, cat, dog, wolf, rabbit, etc), and each type has their own abilities. For example, the hedgehog can pick up rings it's dropped from being hit, but the cat will always keep at least one ring as long as it has two or more. This means you'll need to choose an avatar with the skills that suit your styles the best, and then choose a weapon type as well. Weapons are unlocked by completing different missions or challenges from a checklist, and they too provide you with different skills. For example, the starting weapon has a flame thrower attack, and allows you to use the rocket wisp to shoot yourself upward, while a lighting based weapon (they are called "Wispons" here) will attack with a giant whip and allow you to shoot through the air following paths of rings or paths of enemies (similar to the Light Speed Dash from past Sonic games). Of course you have to pick up a Wisp to use these abilities like these, but they are always placed around the stages and easy to find. As for how the avatar plays... It's a mix of Modern Sonic, and something all it's own. Homing attack was replaced with a graphing hook that allows you to lock onto an enemy and pull yourself towards it, but your main way of attacking is your weapon. Avatar's wont be boosting around and homing attack at high speeds like Sonic, and they are often left open to enemy attacks while they are in the air. Of course Avatar's also have access to their own style of shortcuts (which come in the form of floating objects you can swing from), and this comes more into play in the final style of gameplay Forces has to offer. In an almost Sonic Heroes style of gameplay, the fourth and final stage type you'll come across are the team stages. Here you play as both Modern Sonic and the Avatar to race through fully 3D stages. While one character will take the lead, you'll be able to switch between the two at a moment's notice to advance through the stages and overcome obstacles. 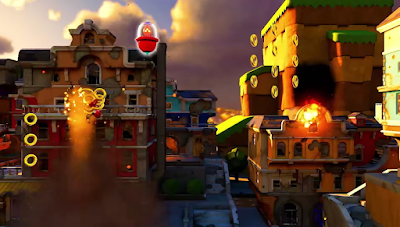 Sonic will allow you to dash boost through multiple enemies, Avatar will let you swing from the floating ball things mentioned above, Sonic will quickly homing attack from enemy to enemy, and the Avatar will make use of wisp powers to access areas Sonic normally cannot. It's basically both character's stage types mixed into a single stage, and it actually works pretty well. There are also times where you'll do a team boost, but this just amounts to button mashing and watching a scene play out without much input from you the player. You'll see the two characters speed along destroying everything in their way, and sometimes get to move left and right as you pick up rings for some extra points. 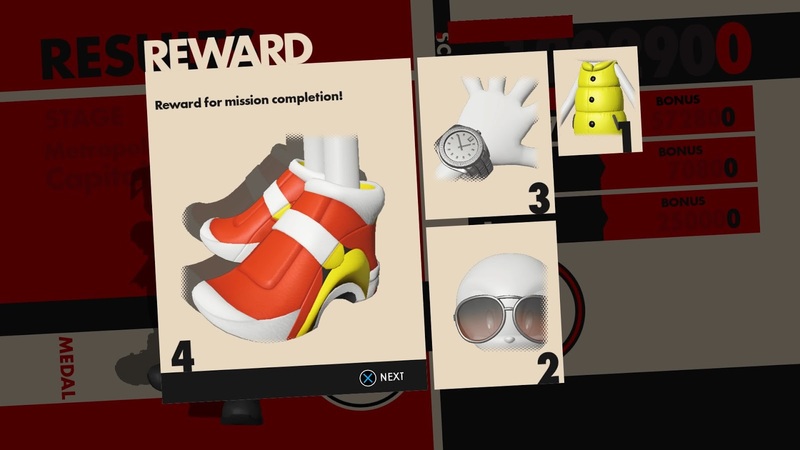 To go along with everything listed above, Sonic Forces has a checklist of challenges for you to complete. These range from things as simple as equipping a piece of gear to your Avatar, to completing a stage with an S rank. 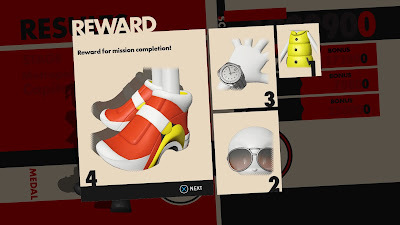 Doing such challenges will in return unlock new clothing and accessories for your Avatar, and completing one of the daily challenges you get, you guessed it, each day will give you a score boost for a limited time. This makes getting S ranks in stages much easier, but the bonus only lasts for so long. Although these challenges may not amount to too much, they do give you a reason to replay previously beaten levels. And finally you have the extra stages you can unlock by beating levels, and completing challenges. These are mini stages that often task you with overcoming some gimmick (such as platforms that vanish, or racing exploding boxes), and simply add some extras for you to complete. Of course finishing them also unlocks more things for your Avatar, so they are worth doing -- assuming you care about your Avatar that is. 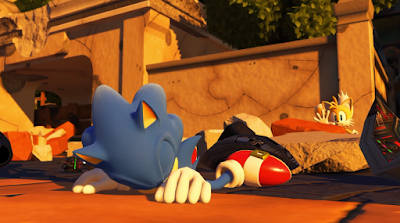 Sonic Forces is not an easy game to judge, and honestly it's a game that many will either like for what it is, or flat out hate it. On one hand the game's music is pretty good, the voice acting is great, the Avatar system is interesting, and it has both Modern and Classic gameplay... But on the other, it also feels like a major down grade from 2011's Sonic Generations. While the game is fun to play through, it is also extremely short with levels that end just as they start to become fun. One minute you'll be boosting through the first mob of enemies excited to see the stage ahead of you, and then the very next you'll be going down a water slide with little interaction until you reach the goal. Stages like these don't even feel like full stages, and feel more like a mini distraction -- except they're not. Sadly this sort of thing is seen throughout the entire game, with most of the levels following a very linear path with next to no alternate routes for you to take. Mix that in with the fact that all three characters have funky jumping physics (they drop like a rock), and that can also call for some very annoying platforming sections that cannot be bypassed. These issues are most apparent in the 2D sections of the levels, but 3D sections that ask you to homing attack enemies not directly in front of you can be problematic as well. Once you jump you cannot change the aim of your homing attack, and the lock on mechanic will not always target the enemy you want to hit (thankfully this is mostly seen only during the first boss). Although the game is very easy in general (even on the game's "hard" setting), it can be a bit challenging simply due to the clunky controls and physics -- when this really shouldn't be the case. The good news is these moments are mostly isolated to a few select sections of the game, and they are spaced out throughout the story. Yes, they are annoying, but they aren't constantly in your face. Sadly the fact that there are four types of game play styles also means some characters get the shaft (Classic Sonic), even though the stages and styles are pretty well spaced out in general. Sure, this is an issue that could've been fixed by giving each character ten or so stages of their own, but that didn't happen.